Our window washing service includes window sills, screens, frames, and tracks. We use a special glass solution to make your windows stay shiny and clean for a longer period of time. 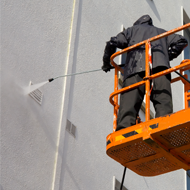 We use our high-pressure cleaning on siding, driveways, and roofs to remove unsightly dirt and grime. Take advantage of our power washing service when you want to stain your deck. Get ready for the rain and snow with our gutter cleaning service. 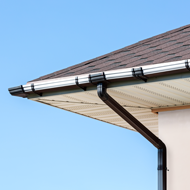 We'll make sure your structure's gutters and fascia are free from dirt and debris, and that your downspouts are unclogged. 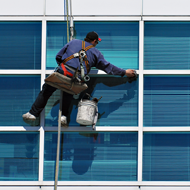 HD window cleaning provides residential and commercial window washing services in Dubuque, Iowa. Our company also provides gutter cleaning and pressure washing services. We are fully insured and bonded. Our gutter cleaning services include making sure your down spouts are in good working condition and that water flows through them easily. If you need your driveway, deck, or patio power-washed, our team can do that as well. With more than 10 years of experience, our owner started this company because of his knowledge of this industry. Our goal is to keep our customers satisfied so they will use our services again and refer us to friends and family.